One of the standout fixtures of the Serie A season so far gets underway on Friday evening as Juventus host Inter Milan. The match is sure to be a crucial clash with the visitors aiming to cut the lead back at the top of the table. Current leaders Juventus sit eight points clear and are consequently the odds-on favourites to win the title with Paddy Power at 1/12. Comparatively, despite sitting only third, Luciano Spalletti’s troops are 11 points behind the reigning champions and can be backed at a huge 35/1 to win their first Serie A crown since 2010 come the end of the campaign. The respective forms of the two teams could provide clues as to how the clash could play out at the weekend. Max Allegri’s Juventus come into the game off the back of five consecutive victories. They have also managed to keep three clean consecutive clean sheets and can be backed at 6/4 with Betfred to do that once more. Meanwhile, Inter have only won one out of their last five games in all competitions. 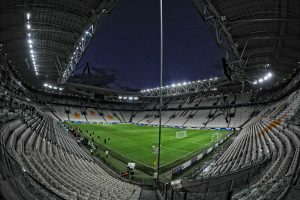 One aspect that the visitors will have to overcome if they are to earn a result against Juventus is their relatively poor form at the home of reigning champions. They have not won at the Juventus Stadium since a 3-1 victory back in November 2012. They are at 11/2 with BetVictor to earn another win, whilst Juventus, who are undefeated in their last three games against Inter, sit at 4/7 to earn maximum points. As a matter of fact, Inter have not managed to even find the net away to their rivals for nearly five years. Both teams to score currently sits at 17/20 with William Hill, whilst that eventuality not occurring can be supported at the same odds. Joint top scorer in the Italian top flight, Cristiano Ronaldo, is one of the favourites to open the scoring and can be backed at 16/5 to do just that. Elsewhere, Mauro Icardi has scored eight goals in 11 Serie A matches against Juventus and is at 8/1 to score the opening goal. Meanwhile, the hosts could receive a significant boost in midfield with Emre Can and Sami Khedira having both returned to training. However, Alex Sandro and Andrea Barzagli have been ruled out. In regards to the visitors, both Dalbert and Sime Vrsaljko are restricted to the sidelines but Radja Nainggolan could return to action after missing out last time due to an ankle injury.